On May 1, 2015, Cortex Pharmaceuticals, Inc. (the “Company”) filed a Current Report on Form 8-K (the “Original Report”) that furnished, as Exhibit 99.1, a collection of slides that the Company intended to use at its presentation at the New York BIO 25th Anniversary Conference (the “Conference”) on May 4, 2015. The Company made its presentation at the Conference as scheduled. 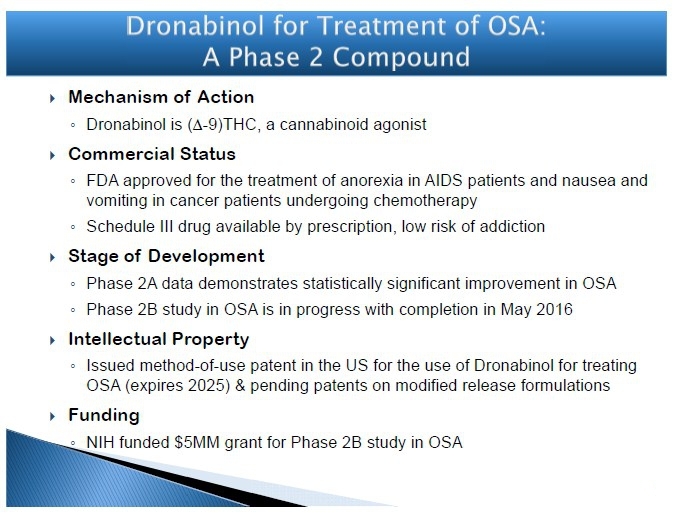 Among other things, those slides referred to a clinical study of the compound dronabinol, which was being conducted by the University of Illinois. 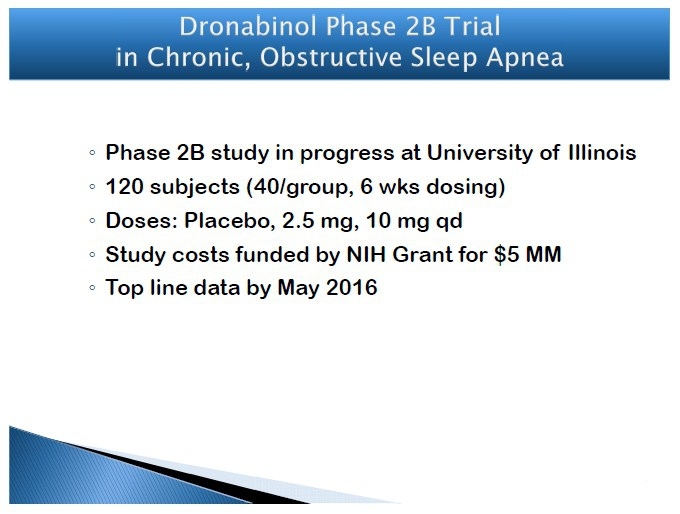 Based on disclosures by the University of Illinois, the Company expected the clinical study to be completed in the third quarter of 2015. After the Conference, the University of Illinois disclosed that the expected completion date for the clinical study had been changed to May 2016. 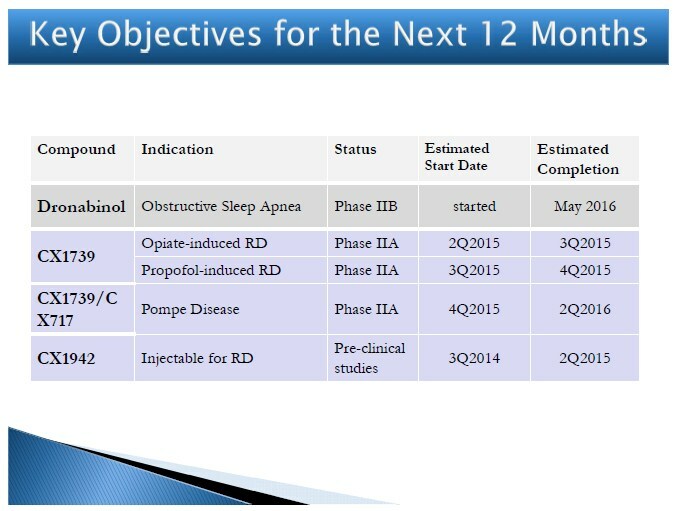 Accordingly, attached as Exhibit 99.1 to this Current Report on Form 8-K/A are revised slides (the “Revised Slides”) from the original exhibit that referenced the clinical study, updated to reflect the new anticipated completion date of the clinical study. 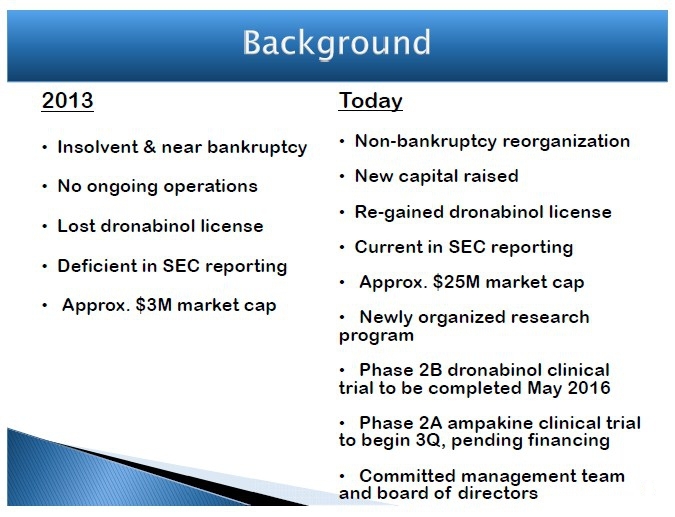 The full slide deck, with the Revised Slides, will also be available on the Company’s web-site. The remainder of the information provided with the Original Report remains unchanged. A list of exhibits that are furnished as part of this report is set forth in the Exhibit Index, which is presented elsewhere in this document, and is incorporated herein by reference. 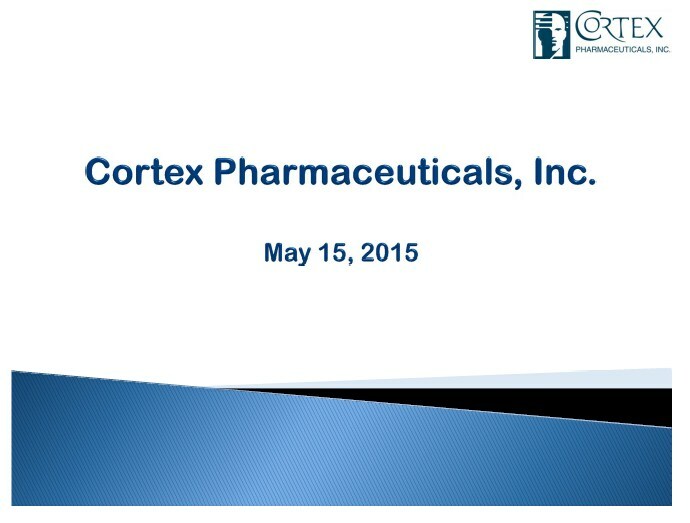 Date: May 18, 2015 CORTEX PHARMACEUTICALS, INC.